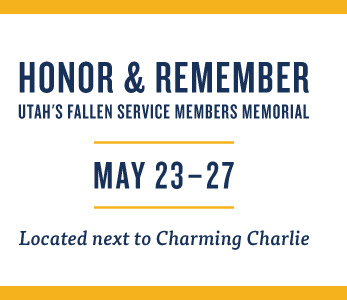 Station Park is pleased to announce the Operation Hero display honoring Utah’s fallen service members May 23-27, organized by Operation Hero. This event is very emotional and a meaningful one as they raise awareness within our community about each of these heroes and the sacrifices they made. Operation Hero is a non-profit 501(c) (3) #47-5167052 organization. Their mission is to continue the legacy of 1SG Tracy Stapley, who passed away on July 3, 2013, in Qatar. 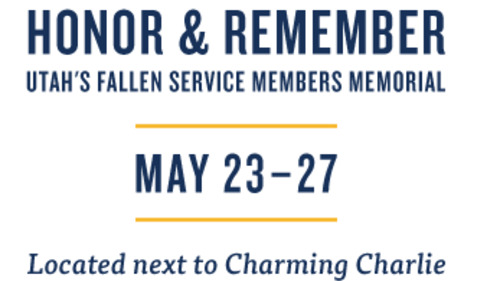 This year the event has expanded to include the traditional boot display to honor each service member, multiple resource providers and an activity area for kids. The display will be housed in the space next to Charming Charlie. For hours and details please contact Concierge Services at 801-923-9111.